Queenslanders have waited a long time for some serious energy competition, but it may finally have arrived with the news that two of Australia’s highest-rated electricity retailers are coming to the state. Six months on from the lifting of electricity price regulations, Powershop and Red Energy have both launched market offers in South-East Queensland, giving consumers more energy options than ever before. Generally two of the cheapest providers in Victoria and New South Wales respectively, Powershop and Red Energy enter a market crying out for more competition. Currently, almost nine out of ten households in SE Queensland remain with one of the big three energy companies – AGL, Origin and EnergyAustralia – and average bills are up to $300 a year more expensive than in Victoria, where competition between the providers has become fierce since regulations were removed in 2009. The hope is that the SE Queensland market will now go the same way, with increased competition resulting in more competitive pricing and greater opportunities for consumers to save. Powershop and Red Energy join Mojo Power and Simply Energy in launching new residential offers in SE Queensland post-deregulation. Powershop already services both Victoria and New South Wales, doing things a little differently to grow a generally satisfied customer base. Owned by New Zealand electricity generator and retailer, Meridan Energy, Powershop’s main selling point is its use of smart meters and digital tools, with customers able to closely monitor their energy usage online. This could help to better manage power usage habits and reduce the potential for bill shock. While the majority of households in Queensland do not have smart meters installed, Powershop has indicated its intention to roll them out in the years to come. Powershop also offers generous bill credits when customers refer a friend. Both new and existing customers receive $75 off their next bill, and there is no limit to how many customers you can refer. Powershop has topped Canstar Blue’s customer ratings for Victoria for two years in a row. It recently entered the NSW market and now has its sights set on the Brisbane area. What’s Red Energy all about? Red Energy has grown quickly to become one of the leading electricity and gas providers in New South Wales, Victoria and South Australia. Its focus seems to be on keeping things simple. Red Energy is one of two power retail brands (the other being Lumo Energy) owned by Snowy Hyrdo – the company behind the Snowy Mountains Hydro-Electric scheme. As such, Red Energy is clear to point out that it is 100% Aussie-owned. Red Energy has topped Canstar Blue’s customer ratings for New South Wales for three years in a row. 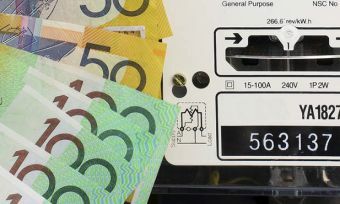 The arrival of Powershop and Red Energy creates more competition in the SE Queensland market, which should put pressure on the more established electricity providers to rethink any proposed price increases to remain competitive. It may also lead to improved sign-up incentives, including higher conditional discounts, which can be a great way to reduce overall costs. Queenslanders should use this news as an extra incentive to regularly compare energy offers. Regardless of your provider, if you have not switched in a couple of years, you will almost certainly be paying more than you need to.